Rediff.com » Movies » PIX: Riteish-Genelia turn baraatis! After tying the knot earlier this month, it was time for Riteish Deshmukh and Genelia D'Souza to turn baraatis for Riteish's brother Dheeraj Deshmukh's wedding with Deepshikha Bhagnani (daughter of producer Vashu Bhagnani). 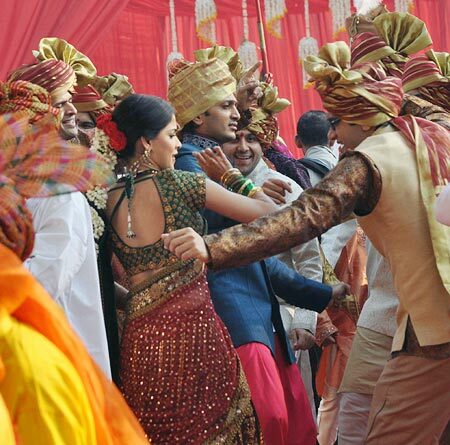 Genelia D'Souza and Riteish Deshmukh were spotted dancing as part of the weddign party. 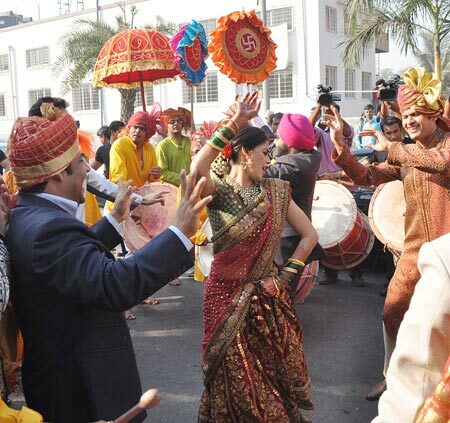 The filmi couple were accompanied by traditional folk dancers who performed on a number of songs. 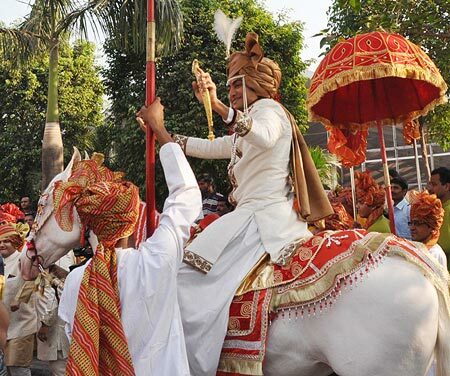 Bridegroom Dheeraj Deshmukh was in his element as he made his way to the ceremony. 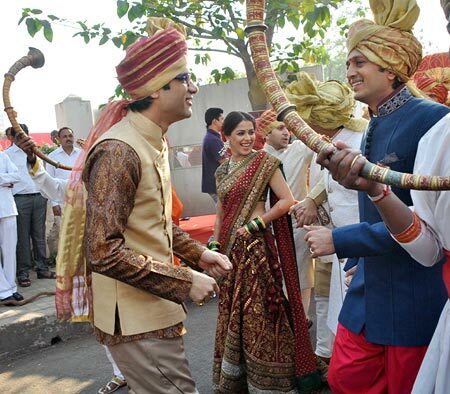 Genelia D'Souza flaunted her Bollywood thumkas as she joined fellow wedding party revellers. Dheeraj' s parents, former Maharashtra chief minister Vilasrao Deshmukh and Vaishali Deshmukh along with Deepshika's parents Vashu Bhagnani and Pinky Bhagnani pose for the shutterbugs. 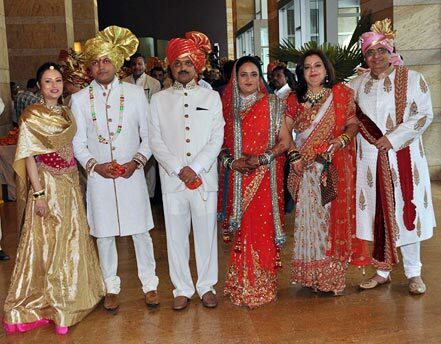 Also seen in the picture is the bridegroom's eldest brother Amit Deshmukh along with his wife Aditi Deshmukh. 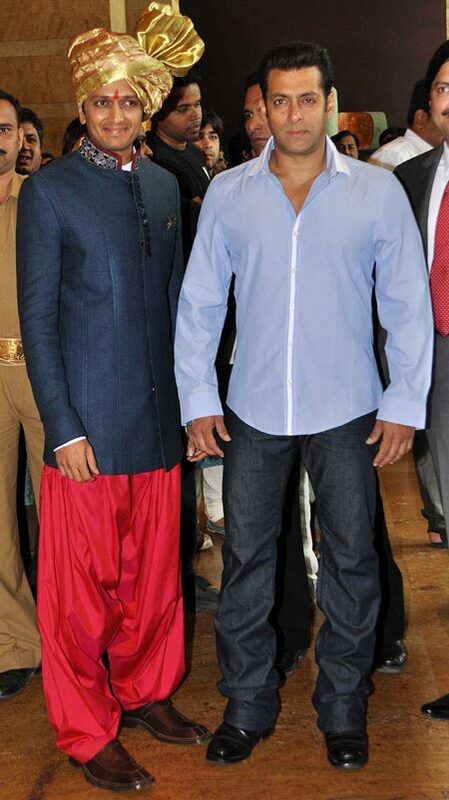 Salman Khan, who recently came back from Cuba after shooting for Ek Tha Tiger, was greeted at the venue by Riteish Deshmukh. 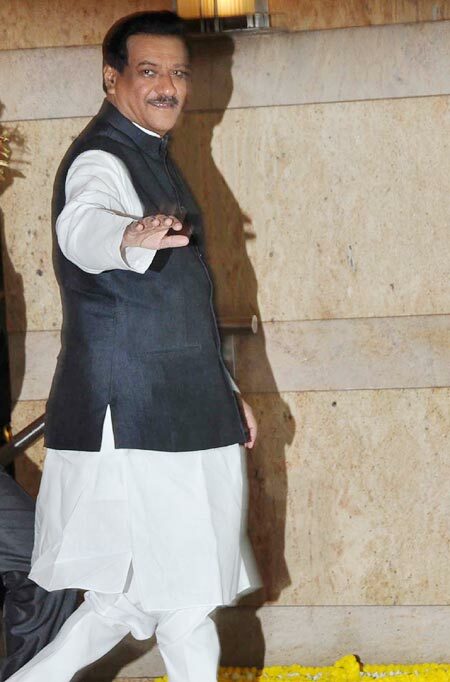 Maharashtra Chief Minister Prithviraj Chavan waves as he arrives at the wedding. 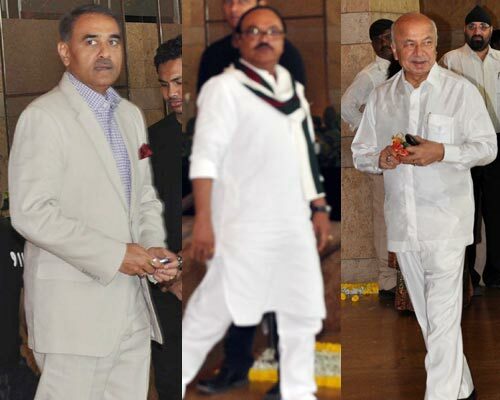 Gujarat Minister of State (MoS) for Home Praful Patel, Cabinet Minister for Power Sushil Kumar Shinde, and former deputy chief minister of Maharashtra Chhagan Bhujbal were also seen at the wedding. 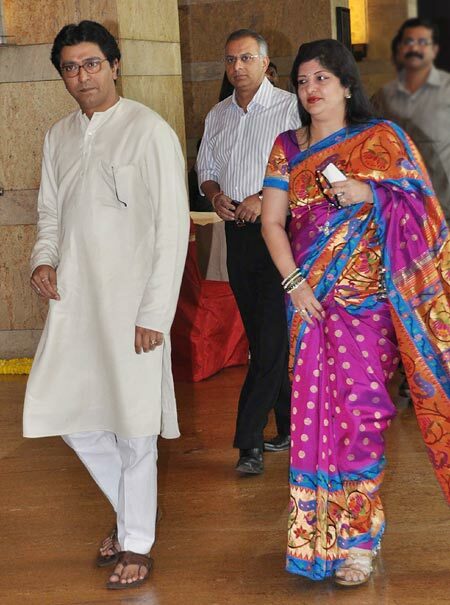 Navnirman Sena founder and president Raj Thackeray arrived with his wife Sharmila. Raj Kundra arrived with sister-in-law Shamita Shetty who looked radiant in her lavender saree. Shilpa Shetty, who is seven months pregnant and attended the sangeet ceremony, gave the wedding a miss. The newlywed Dheeraj Deshmukh and Deepshikha Bhagnani posed for pictures after the wedding. Photo: Say hello to Mr and Mrs Riteish Deshmukh!